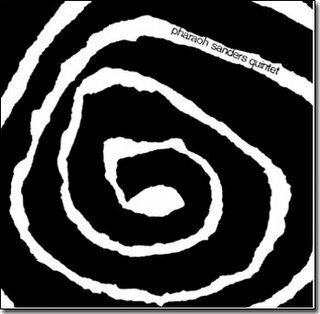 This is a real historical gem, Pharoah Sander's first recording as leader from 1964, a time when he was still living homeless in the streets of New York, but working at times with such free-jazz luminaries as Don Cherry and David Izenon. 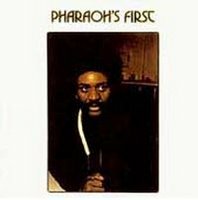 As you might expect, this is a showcase for Pharoah's blowing as much as anything, comprising of only 2 tracks, both 23 minutes plus. Presumably the original LP had one track per side. Just imagine the kind of records these guys would have made if they hadn't been limited by the length of a side of vinyl. It's great to hear Sanders making the kind of sounds he would soon become famous for. He seems to be just discovering the honking style that is unmistakably his, most notably during his long opening solo on 'Seven by Seven', where he can be heard using overtones and bending his notes in such a way that it sounds like one continuous wail. This approach of breaking down western harmonic concepts by dispensing with the scale was to become common to free jazz musicians later in the decade as they asserted their African heritage. Pharoah's move away from western musics is made starker by the sound of the sidemen on this date - Foster tries his level best to follow Sanders on 'Seven by Seven' but gives up after a minute or so and goes back to playing more straightforward hard bop, where he obviously seems comfortable. The rhythm section seem more at home with hard bop too, but although they play well and get plenty of solo space you yearn for Sanders' influence to rub off on them a bit more strongly. 'Bethera' is similar in form to the opener, but shows more clearly the debt that Sanders payed to those who came before him. The opening theme and solo is so Coltrane-like as to be uncanny. You could be excused for thinking you're listening to 'Giant Steps' for a minute. There's a little honking late on in this solo just to remind you who is actually playing, but it's all very subdued. This more conventional style of playing obviously fits in much better with the other players, and their performance here is more assured. in 1964. It's easy in retrospect to recognise aspects of Sanders' style which became his trademarks later in the decade, and this glimpse of the early development of such a significant figure is intriguing. But in 1964 no-one knew what was to come from the 24-year-old tenorman from Little Rock, Arkansas, and it's easy to imagine some of his wilder flights on this record being very unpopular indeed. He certainly confuses his sidemen, so the generally conservative jazz critics of the time would have had no idea what was going on. This CD reissue also contains some short snippets from an interview with Sanders from 1993. It's interesting to hear him speak, but he does his real talking on the tenor horn.